Take your mornings to a new level when you drink your favorite coffee or other warm beverages in our Engraved Bistro Mugs. 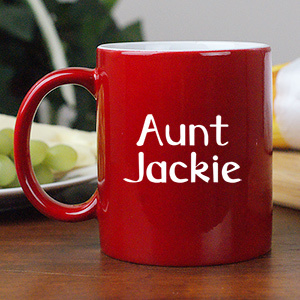 Our Personalized Bistro Mugs are ideal to use every day, everywhere. 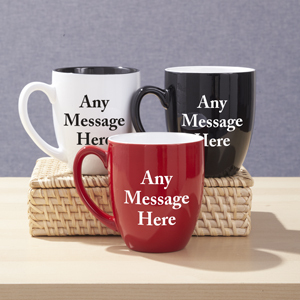 Give them to your husband, wife, boyfriend, girlfriend, parents or grandparents and watch them get delighted with these durable and attractive mugs. We have an excellent line of designs that will surely grab the attention of everyone. Our Bistro Mugs make great gift ideas for Christmas, Valentine’s Day, Sweetest Day, Mother’s Day, Father’s Day, Grandparents Day and Birthday celebrations. Our Engraved Bistro Mugs are quick to become a favorite. 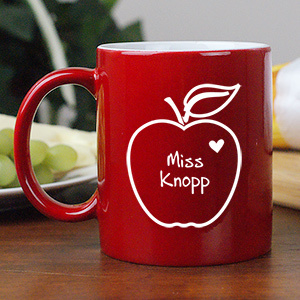 Warm up with a nice cup of coffee or hot cocoa when you drink from your very own Engraved Bistro Mug. 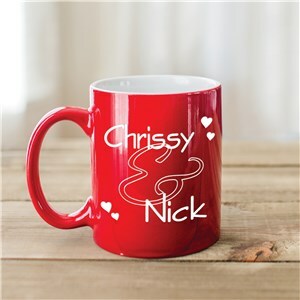 GiftsForYouNow is the leader in Custom Printed Mugs, Customized Mugs and Custom Coffee Cups for any special occasion. 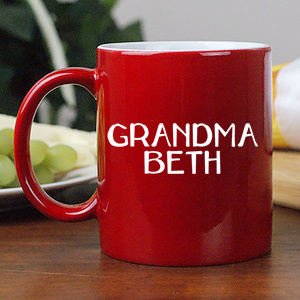 Present your Mom, Dad, Grandmother, Grandfather, Uncle, Aunt, Best Friend, Husband or Wife with a Custom Printed Coffee Mug made especially for them. Always on the go? Try out one of our Personalized Travel Mugs!